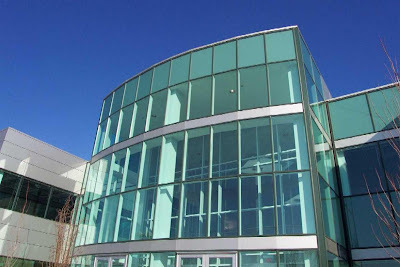 As we discussed in our previous post, when purchasing windows, including hurricane windows, it is important to know about three key glass properties: the SHGC, U-Factor and VT (for term definitions, please read our previous post). Below, we would like to show you how these glass properties vary as you change the thickness and/or tint of the window glass. You will notice that we chose the 5/16-inch, clear glass as our window point of reference in terms of price. This window is our starting point, giving it a value of 1. The "Price Ref." 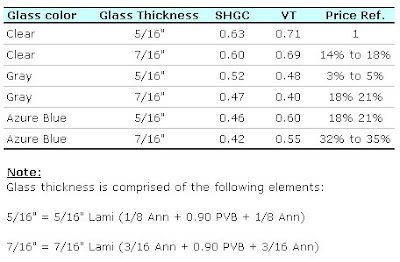 column shows the additional price, presented as a percentage, to pay for upgrading the tint or the thickness of the glass. 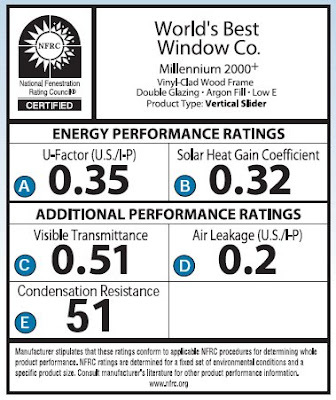 For your information, all of the windows in the example below are hurricane windows (i.e., impact-resistant windows). On the table above, you notice how you can improve the SGHC by adding a tint to the window glass. It is also important to highlight that even without a tint, hurricane windows offer a significant reduction in solar radiants. For example, the 0.63 factor means that 37% of the solar heat is block by the clear glass window. Energy efficiency is a "hot" topic today. I will not try to explain everything about energy efficiency on hurricane windows and doors because it will be unrealistic. However, I would like to quickly present to you to the key facts to know about energy efficiency and glazing. First, we need to briefly define a few terms, including SHGC, U-Factor and VT, which are important to understand energy ratings. SHGC stands for Solar Heat Gain Coefficient, a number between 0 and 1 that provides a measure of how well a product blocks heat from the sun. The lower the SHGC, the better a specific product is at blocking unwanted heat gain. As an illustration, a window that features a 0.60 SHGC means that it allows 60% of the available solar heat to come through. In warm weather, a low SHGC is desirable. As a point of reference, the National Fenestration Rating Council (NFRC) recommends installing windows and doors with a combine SHGC of 0.40 or lower. In the past, there were not hurricane windows in the market that could match that recommendation. Today, new lines of hurricane windows exceed these requirements. U-Factor is another important factor for hurricane windows and doors. The U-Factor measures how well a product prevents heat from escaping a property. U-Factor ratings, which range from 0.20 to 1.20, are particularly important in cold weather during winter heating season. The lower the U-Factor, the better a window or door is at keeping heat inside the property. VT stands for visible transmittance, an indicator of how much light comes through a hurricane window or hurricane door. The higher the VT, which is expressed as a number between 0 and 1, the higher the potential for day lighting. On the following issue, we will continue expanding our conversation about energy efficient hurricane windows and key indicators.